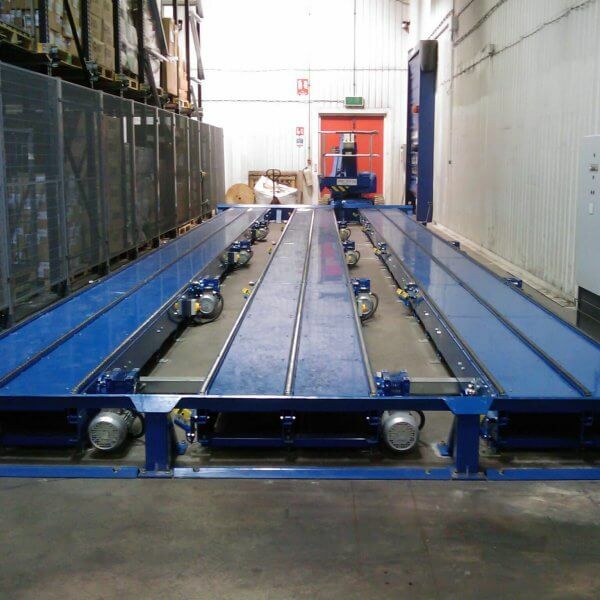 Andrews Automation Ltd has recently been awarded the contract to provide a centralised returns handling solution for a major distribution company. Following on from months of discussions and design work, a centralised returns handling system has been devised to remove the need for the Client’s network of satellite facilities, of which there are many, to process their own product returns in-house. This will enable the Client to concentrate on their primary objective of supplying outgoing product in a fast and efficient manner. Each satellite branch will be able to send their product returns in magnum containers via road to the central returns depot in Sheffield, South Yorkshire to be processed. 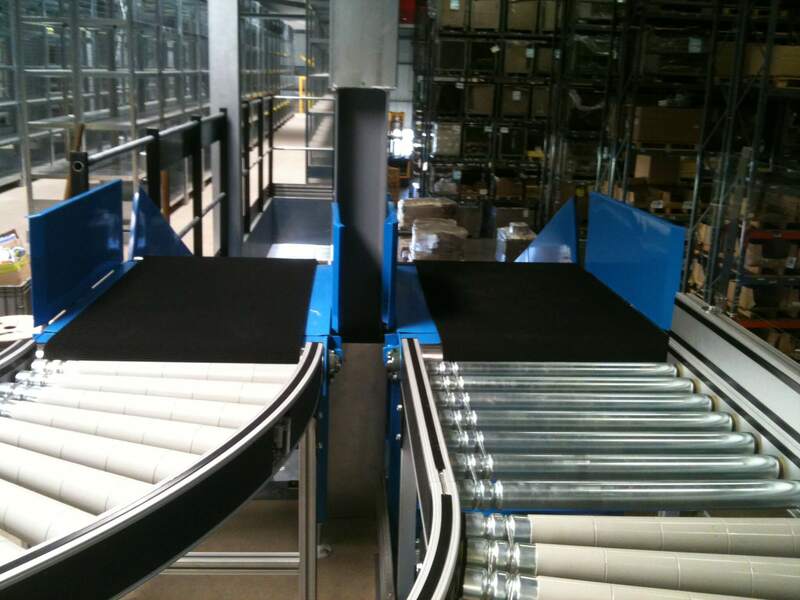 Our team of project engineers have designed a solution that incorporates a number of our standard materials handling products, together with a bespoke tipper unit that will handle and feed the sortation conveyors. Fully loaded magnum containers sent in from each satellite depot are loaded onto powered roller pallet conveyors which then carry each magnum to the specially designed tipper unit. This inturn tips the contents of each magnum onto a number of belt conveyors with a view to spreading out the contents before they make their way into the Client’s sortation equipment. The tipping action is intelligently controlled so that it can adjust the flow of product accordingly if too much or too little product is being fed onto the belt conveyors. 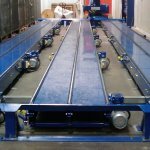 All mechanical and control systems are designed and built by our in-house team. This project will prove to make significant savings for the Client across the group and will also improve the flow of product both in and out of each facility. The handling of product returns is a hot topic of discussion at the moment, particularly in the distribution and e-commerce industries.